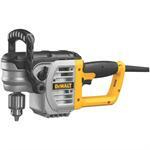 DEWALT Electric Drills satisfy all the requirements of the professional user, and include pistol grip 3/8", 1/2" right-angle drills, 1/4", 3/8" & 1/2" spade handle drills and 1/2" and magnetic drill presses. 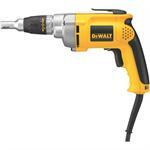 DEWALT Electric Drills are made of the highest quality components including helical-cut, heat-treated steel gears, premium switches, Jacobs chucks and industrial strength rubber cordsets. 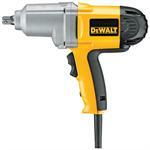 DEWALT Electric Drills were developed with the user in mind offering the best ergonomics available. Better ergonomics means lower user fatigue over long work periods, which means better productivity on the job.